Kids up to 10 yrs old gather prize filled eggs! Search for one of three Grand Prize Eggs! 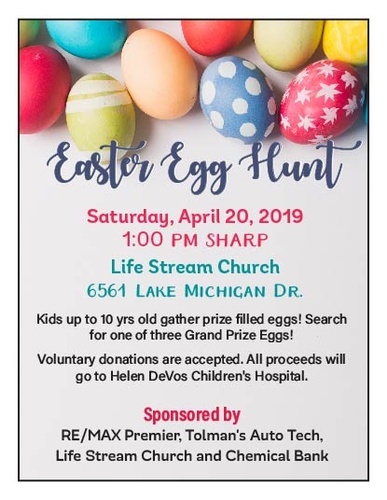 Sponsored by RE/MAX Premier, Tolman's Auto Tech, Life Stream Church and Chemical Bank. Voluntary donations are accepted. All proceeds will go to Helen Devos Children's Hospital.